More than 80 percent of all medical school students graduate with debt, according to the Association of American Medical Colleges. And, it’s not an insignificant amount; the median debt for all indebted medical school graduates in 2015 was $183,000. That’s a tough sum to swallow after spending 12 to 15 years grinding away in school. To make matters worse, paying back $183,000 in physician loans at 6 percent interest (which is pretty standard) can cost you about $2,000 a month and take more than 10 years–and include more than $60,000 in interest charges. Those numbers can seriously cramp your lifestyle and keep you from realizing your financial dreams–especially if you don’t make wise financial decisions. The good news is that you can fight back against these staggering numbers and shorten the length of time it takes to pay down the debt. Many newly minted medical school graduates have often asked for and received signing bonuses. But, now that the country is in the midst of a physician shortage, the likelihood of receiving a signing bonus is better than ever–and the bonus is likely to be bigger than ever. It can be uncomfortable to ask for a signing bonus, but it’s worth it. According to Becker’s Hospital Review, the average signing bonus for physicians hired during the first half of 2015 (the last year for which figures are available) was more than $21,000. At the end of the day, any amount can help doctors address their physician loans. Many medical school students let their physician loans go into forbearance while they are in residency. Doing this allows the students to postpone making loan payments, but it does not stop interest from accruing. However, there are programs that allow you to postpone interest capitalization while actually giving you an interest subsidy during the first three years you are making payments on your physician loans. The income-based repayment program and the Pay As You Earn program both limit your payments to between zero and 10 percent of your overall income. It sounds so simple, because it is so simple. It can also save you an incredible amount of money. It’s refinancing, and it’s something you should constantly consider while you are paying back your physician loans. Of course, refinancing only makes sense if you can lower your interest rate. So the first thing you should do when you graduate from medical school is figure out if refinancing your loan at a lower interest rate makes sense. Many states offer loan forgiveness and repayment programs for physicians willing to work in areas that are under-served by health care. New Hampshire, for example, offers $75,000 toward physician loans to full-time primary care physicians who work in an area of the state that is experiencing a physician shortage for three years. These programs are great ways for doctors to combat their physicians loans and gain valuable experience. After at least 12 years of education, many new physicians are in a hurry to realize the fruits of their labor. So instead of focusing on reducing their physician loans as quickly as possible, they buy expensive homes, cars and toys–and find themselves in even more debt. Simply living within your means (and living in an area where the cost of living is low) is actually one of the easiest ways for you to combat your student loan debt. Would you like to read more articles like this one? Subscribe! Nurse practitioners play an important role in hospitals. They’re involved in everything from diagnosing, treating and managing acute and chronic illnesses. That makes for a fast-paced work environment where decisions have to quickly and sometimes with only partial information. One way for nurse practitioners to be more efficient and effective in delivering care is to stay up-to-date with the latest medical news about their work, societal trends affecting their patients and new treatment options. Nurse practitioners may soon be able to care for Medicare patients outside of hospitals. As part of an effort to address the nation’s shortage of doctors and improve the quality of care elderly patients receive, President Obama’s administration has put forward a proposal to allow nurse practitioners and physician assistants to deliver primary care services in patients’ homes. According to a story published on DailyNurse.com, the administration–along with the Centers for Medicare & Medicaid Services–believe that expanding the role of nurse practitioners and physician assistants could lead to lower healthcare costs, shorter hospital stays and better care for patients who otherwise might not be treated. Read more about the proposal on DailyNurse.com. Nurses are on the front lines when it comes to helping people live long lives. But, at some point, there comes a time when end-of-life care is necessary. These cases can be trying for nurse practitioners, who are trained to help keep people healthy. It’s a must-read for anyone who works with the elderly or people suffering from chronic and often fatal diseases. Read the article on the Advance Healthcare Network website. In what is a becoming more common in the healthcare industry, a group of nurse practitioners have opened a medical practice in Washington Heights, New York. The nurse practitioners, all of whom were educated at Columbia University School of Nursing, will be staff and manage the practice. The goal is to expand healthcare options for people who live in the area and train advanced practice nurses to deliver complex care to people who are living with chronic diseases. This is the second such medical practice opened by Columbia University and just might be an indication of the expanding role nurse practitioners will have in the future. Read about the new practice on the Columbia University website. 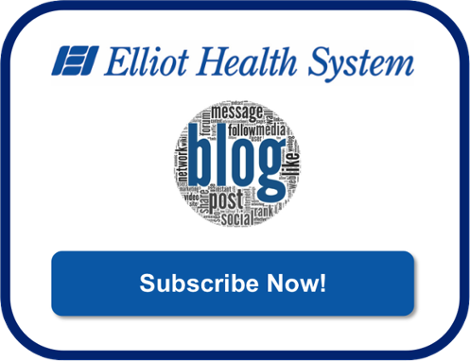 Would you like to learn about nurse practitioner opportunities within Elliot Health System? If so, check out our open provider positions. There are a lot of reasons to love Southern New Hampshire. People who live in the Granite State like the abundance of opportunities for outdoor recreation. Tourists talk about the quaint towns and brilliant fall colors. Physicians who call Southern New Hampshire home have plenty of other reasons to claim that the area is the perfect place to live, practice medicine and play. If national studies are to be trusted, the people who live and work in New Hampshire care about two things that directly effect physicians: education and health care. A 2015 report published online ranked New Hampshire as the seventh best-educated state in the country, with more than 92 percent of adults having at least a high school diploma and 35 percent achieving at least a bachelor’s degree. People in the Granite State also value their health. According to an analysis done by Medscape, more than 60 percent of the state’s population has employer-sponsored insurance coverage, which is much higher than the national average. In addition, only about 10 to 12 percent of the population lacks health insurance. Well-educated, well-insured patients often make the best patients. If you are a physician interested in innovating and working to improve the quality of the healthcare industry, Southern New Hampshire is the perfect place for you. Hospitals in the area are involved in some innovative and incredibly interesting areas of medicine, including aeronautics and aviation medicine, child protection, improving pre-hospital healthcare and more.You don’t have to live in a large, urban area or work at a large research or teaching hospital to find opportunities to innovate. You can do that at a community hospital in Southern New Hampshire, where you’ll be challenged professionally and enjoy an incredibly high quality of life. There are two primary ways to measure the quality of life offered by a particular city, state or region. You can ask those who live in the area or you can refer to studies that measure such things as family well-being, tax climate, health, per capita income and education. Whatever your preferred method, you are likely to draw the same conclusion about Southern New Hampshire: It offers an unmatched quality of life. New Hampshire consistently ranks among the best places to live in the United States. It has ranked as the safest state in the country. It has delivered the lowest poverty rate. It is in the top 10 for several metrics, including per capita income, tax climate and the overall health of its residents. And, it has ranked as the number one most livable state in the country. Yes, there are many reasons to love New Hampshire–especially if you are a physician. Would you like to find out more about what sort of adventures are available to you in and around Southern New Hampshire? The health care industry is an ever-changing world or policy, protocols and people. Even on your days off, it can be difficult to keep up with the latest medical news that pertains specifically to physician assistants like yourself. According to a recent story published on DailyNurse.com, President Obama’s administration has proposed a lift on the current ban that prevents physician assistants and nurse practitioners from providing direct care to Medicare patients in their homes. If accepted, the proposed change could have a significant impact on both elderly patients and physician assistants. Right now, physician assistants are only allowed to provide direct care to Medicare patients in nursing facilities and other inpatient care centers. These limitations on patient access can make it difficult for some elderly Medicare patients to get the care they need–especially in areas of the country where physicians are in short supply. For physician assistants, a rule change could lead to greater career opportunities and advancement, more job prospects and the ability to expand their skill set by monitoring patients remotely and providing care for chronic and other conditions in patients’ homes. There was a time in the not-too-distant past when physician assistants were viewed as exclusively primary care professionals. Those days are gone. In what might be the most exciting of all the latest medical news stories about physicians assistants, Forbes has reported that more than 70 percent of all physicians assistants are now working in specialty areas of medicine such as surgery and emergency medicine. According to the Forbes report, the role change for physician assistants is due in large part to doctor shortages, which are only expected to grow between now and 2025, according to the Association of American Medical Colleges. What does this mean for physicians assistants? In the short term, it means more opportunities to expand your skill set. In the long run, it could lead to increased pay and job security. It is quite possible that there has never been a better time to be a physician assistant. Government officials and hospital administrators want to increase their roles and responsibilities–which leads typically leads to increased pay–and hospitals and clinics across the country can’t hire them fast enough. In September, websites, newspapers and industry journals reported that the fastest growing field in medicine is that of the physician assistant. According to the reports, the demand for physician assistants is being driven by two main factors: a shortage of physicians and an increased reliance on team practicing team medicine. Whatever the reason, being in high-demand is good news for anyone who is considering making a job switch or just entering the profession. It’s no secret that opioid addiction is an epidemic that has touched every community across the country. Local and national leaders have been looking for a way to address the problem, and now Congress is calling on physician assistants to help. The American Academy of Physician Assistants reports that Congress passed the Comprehensive Addiction and Recovery Act of 2016 in July. In doing so, lawmakers made it possible for physician assistants to prescribe buprenorphine to people suffering from opioid addiction. Buprenorphine is widely used to treat opioid addiction and is often preferred over other drugs because it has a lower potential for misuse and overt abuse. Did you enjoy this article? If so, subscribe to receive our other blogs today. Health care is becoming an industry that is increasingly fragmented and specialized. Big paydays (and sometimes rock-star status among patients and colleagues) are hard for newly minted medical doctors to resist, so a growing number are choosing to pursue careers in orthopedic surgery, cardiology, oncology and radiology. But, there is one area of medicine that has always attracted a group of caring and talented professionals who are dedicated to treating the entire patient: family medicine. The nearly 125,000 family medicine physicians practicing across the United States don’t focus on a specific type of patient, organ or disease. Instead, they provide integrated care for millions of patients of all ages, genders and overall health. If you are currently considering what type of medicine you would like to practice, consider becoming a family medicine physician. According to the American Academy of Family Physicians, family medicine physicians account for one out of every five office visits in the United States and treat nearly 200 million patients. That’s almost 50 percent more than the next most-visited specialty area, meaning that physicians who specialize in family medicine are in high demand and enjoy incredible levels of job security. Few physicians have the ability to positively impact both the health of individuals and the country as a whole like those who deliver primary care. Primary care physicians are called upon to address a wide range of medical issues–from the acute to the chronic to the preventative–involving a wide range of patients. They are trained in pediatrics, obstetrics, internal medicine, psychiatry, surgery and community medicine, and the more their patients see them, the lower the cost of their patients’ health care. In addition, family medicine physicians provide the majority of care for Americans who live in traditionally under-served urban and rural areas of the country. a 7.2 percent decrease in surgeries. Yes, if you truly want to make an impact as a physician, you should consider a career in family medicine. Cardiologists focus on the cardiovascular system. Oncologists focus on cancer. Urologists specialize in diseases of the urinary tract. Physicians who work in the area of family and primary care medicine may deal with any and all of these issues and areas of the body on any given day. If the challenge of working with a wide range of specialty areas sounds appealing, a career in family and primary care medicine might be the right career path for you. You will work with a patients from all walks of life who present with a wide range of diseases and healthcare concerns. You will also be able to develop deep, meaningful relationships with your patients that allow you to truly understand and manage their health care over long periods of time. This type of variety makes you indispensable to both your the patients you treat and the hospital for which you work. That’s why many family and primary care physicians are able to set their own schedules, decide where they want to work and greatly enjoy the profession. Elliot Health System has primary care opportunities available for dynamic providers like you. Learn more below.